The method of removing a stain from clothing depends on the nature of the stain and the fabric. You can buy specialty stain remover fluids that work for most situations. 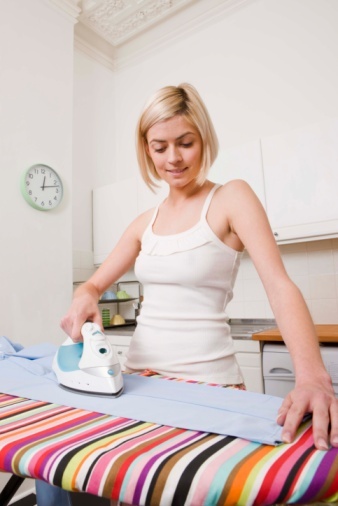 But for a deep stain in a white garment, spot cleaning with bleach may provide the best removal. Using bleach on a dyed garment runs the risk of bleaching out the dye. But you can use color-safe bleach to do a test drop in a hidden portion of the garment to check for bleeding dye. 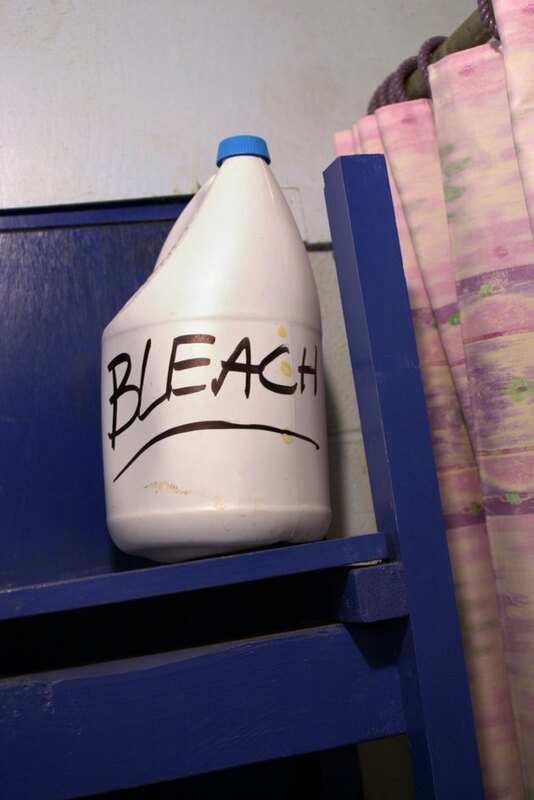 Liquid chlorine bleach only has a shelf life of six months. Follow the package directions of bleach and mix a bleach solution using 1 cup water. Cover a flat work surface, such as a counter, with a thick layer of paper towels to protect it from the bleach. Turn the garment back so that the outside faces out and place the side with the stain down onto the work surface. Reach inside the garment, tucking up the back, so that you can see the reverse side of the stain. Dampen the white washcloth in the bleach solution. Pat the area of the stain gently, using a small section of the washcloth to apply the bleach only to the stain. Continue until the stain is well moistened with the bleach solution. Wash the garment in a washing machine that has no other clothing inside. Check the status of the stain, repeating the process if necessary. Dry as directed by the garment's label. Grace Williams has a Bachelor's degree in journalism from the University of Massachusetts. Her writing has appeared in several publications, including Slate.com and "The Washington Post." She currently writes for a top financial website that syndicates articles to leading global news organizations.